Recently we traveled to Tokyo to attend Japan Blockchain Conference 2018. 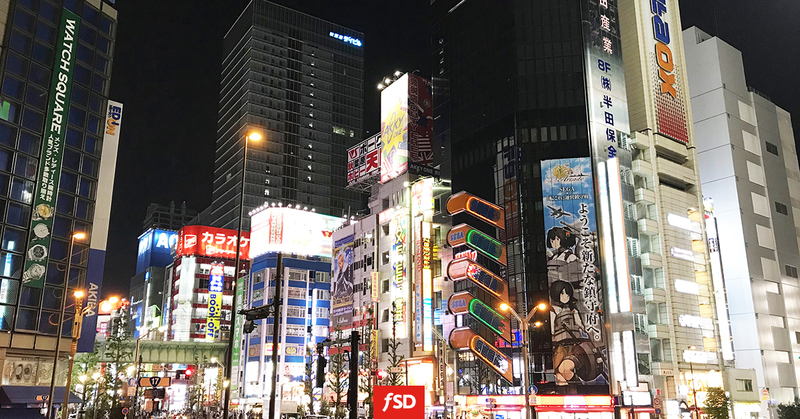 It was our first time visiting the Land of the Rising Sun and we took the opportunity to connect with various Japanese companies. While we were there, we discussed e-commerce and blockchain solutions for different industries. Japan Blockchain Conference 2018 is the largest crypto event in Asia. It offered great insights into the latest blockchain and crypto trends. CEOs of the leading blockchain companies also provided many valuable future predictions. JBC aspires to expand areas where blockchain can be applied. That is what got us interested in the event in the first place, considering that we are developing DApps for different industries. Everything we learned there will be very helpful for both present and future projects we are working on. The conference itself is also a great networking opportunity. We highly recommend it to anyone who is in the blockchain development business. After the conference, we visited a gaming company called Force of Will. They are the creators of a globally popular trading card game with the same name. It made great success in Japan, United States and Europe. They are currently seeking an opportunity to create a digital version of their trading card game. The technology they are using is blockchain and that is why they invited us to the project. We discussed the challenges they are facing in the development and possible solutions. Afterwards, we had a few more successful meetings about our blockchain and e-commerce solutions. We spent most of the week in Tokyo, but we took the time to explore Kyoto as well. If you want to see more photos from our trip, check out our Facebook or Linkedin page.